E-techco Group was founded in 2003 with the registered capital of 200 million RMB. Its annual sales volume of 2014 is 703 million RMB. It is a leading domestic and international health management/network hospital technology and service providers, and also a leading company in the bio IT world market, with more than 200 domestic and foreign patents and international certifications. E-techco Group provides outside hospital patients, patients with chronic diseases, older adults and sub healthy group health management services, such as: health data acquisition, health risk assessment, the third party medical image and chronic disease intervention, pre-hospital counseling instructions, rehabilitation etc. and provides network technology support, database maintenance and operation services for tertiary medical system. E-techco Group has a first-rate international team, including chief Chinese scientists headed by academician Yao Jian-quan, chief foreign scientists led by professor Harry Holthofer, information chief scientist professor Li Shufang, medical chief scientist professor Zou Hequn, E-techco Group’s CTO Doctor Mike Ge and so on. 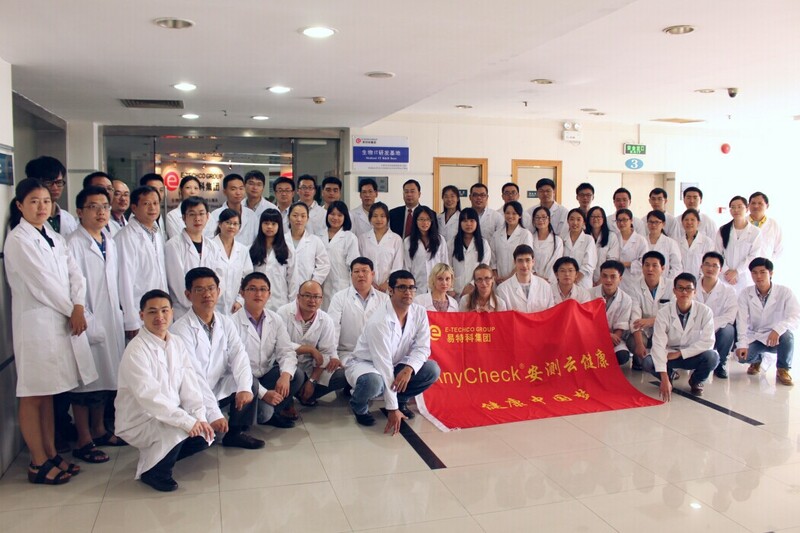 Since AnyCheck mobile health management system and cloud service are on line, E-techco Group has won consistent high praise from domestic and foreign customers, 2012, 2013 and 2014 High-tech Fair Excellent Product Awards, 2014 the Best Solution of Health Care Industry Informatization Award and Chinese Medical Industry Informatization Most Influential Enterprise Award which issued by the Ministry of Industry in 2013. Reported by nearly hundred domestic and foreign medias, including CCTV, Guangdong TV, SZTV and so on. E-techco Group has been committed to the "intelligent services lead healthy new life" health management service concept. AnyCheck health management system (www.anycheck.com.cn) provides personalized "health management" cloud services for target user groups such as the elderly, the chronic diseases patients with hypertension, diabetes, cardiovascular disease as well as the subhealthy crowd. "Let patients live longer, let Chinese people afford to grow old and let share with the world” is E-techco Group’s pursuing target. Building enterprise core competitive ability attentively, using international scientific management method and global medical technology resources to promote enterprise's social value, aiming to promote the improvement of medical care in the whole society to make continuous efforts and forge ahead, realizing E-techco Group’s China dream - human being’s health dream.